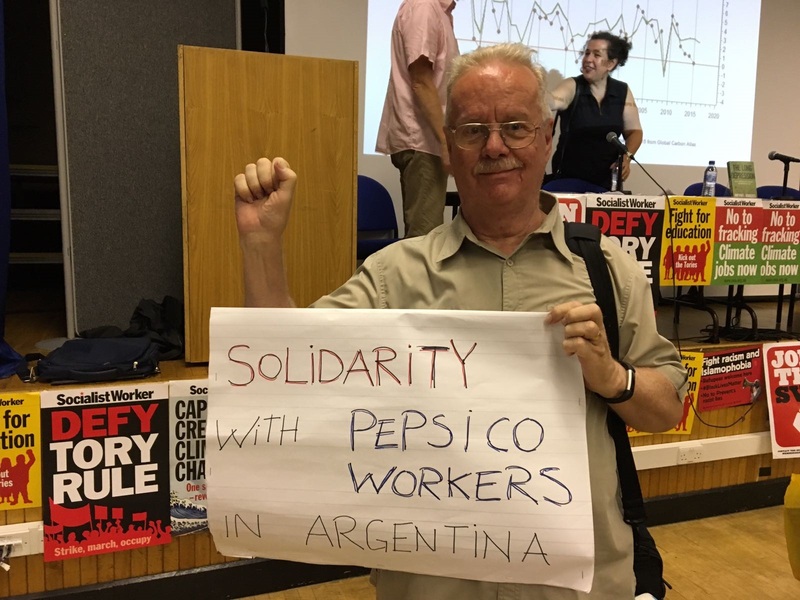 Over 250 organizations, workers and students in the United States support the struggle of PepsiCo workers in Argentina. 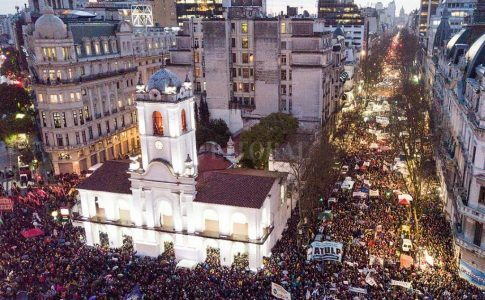 When PepsiCo closed a factory in Buenos Aires that employed 600 people, the workers decided to fight back by occupying in defense of their jobs. 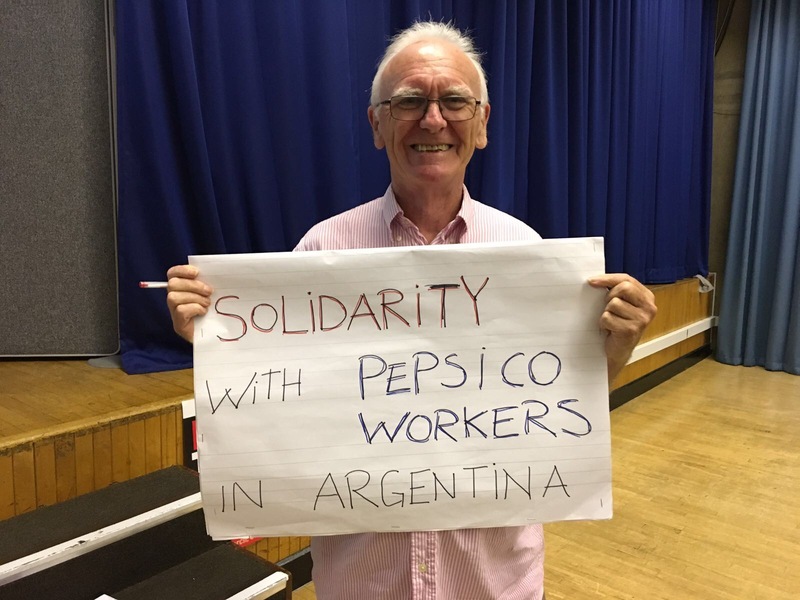 People from all over the world have shown solidarity with the PepsiCo workers struggle. In the United States, 250 people and organizations have signed a petition in solidarity with PepsiCo workers, including nurses, teachers, hotel workers and more. Academics such as Charlie Post, Michael Roberts and Ian Angus have also sent support. 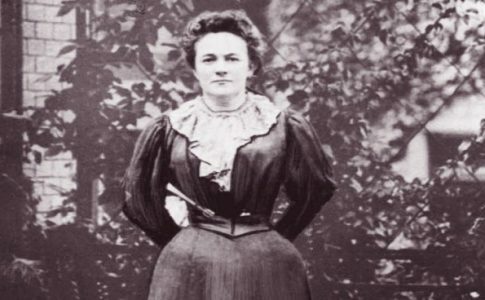 Organizations such as The International Women’s Strike, Socialist Action and Red Bloom signed the petition in support. 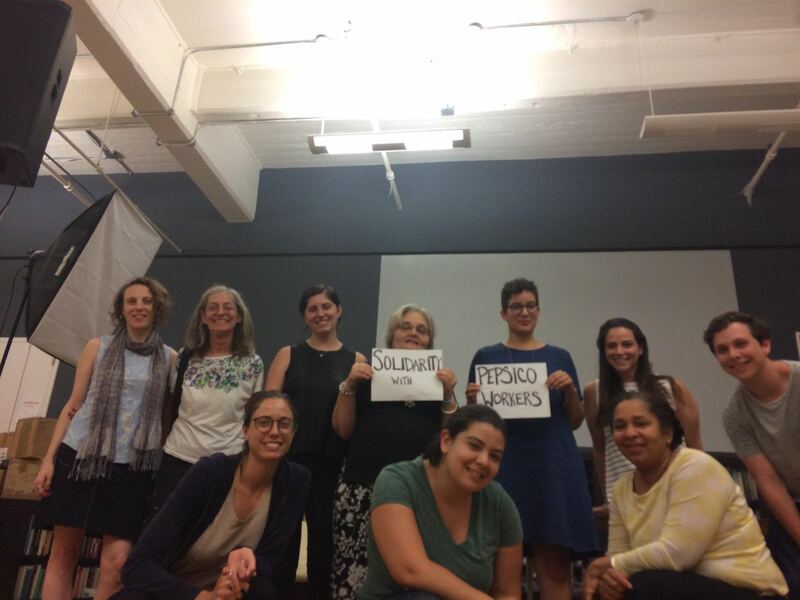 DSA’s Socialist Feminist working group and the Brooklyn Institute’s Social Reproduction class took photos in support. The Movement for Rank and File Educators, Workers World Party and People’s Power Assembly and more shared the petition online. Socialist Party’s Presidential candidate Mimi Soltysik also signed and sent a photo in solidarity. PepsiCo is not just any plant- both because of the brand produced, but also because of the combative organization of workers in the factory. PepsiCo, an American owned multinational company with headquarters in New York, produces Pepsi, Lay’s, Quaker, Dorito, Starbuck’s Ready-to-Drink, 7UP, Cheetos, Aquafina, Mountain Dew, Gatorade, Tropicana and more. Although PepsiCo argues that they are in dire straits financially, they have made immense profits year after year. The PepsiCo factory in Buenos Aires is a particularly combative. The shop floor committee is run by socialists, the workers voted to organize a work stoppage on March 8 for the International Women’s Strike and they organize solidarity for other workers struggles. That is why these workers decided to face off against the American multi-national and fight for their jobs. 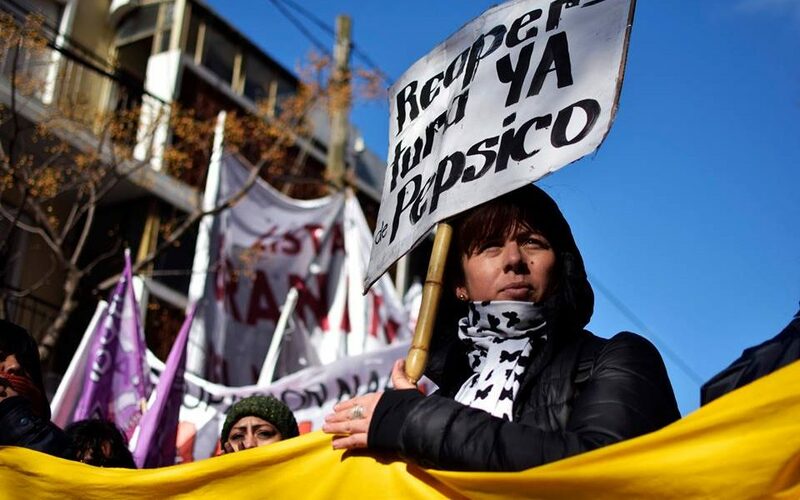 In an assembly, they voted occupy the factory and have organized actions to bring attention to their plight such as protests, roadblocks and boycott of PepsiCo products. 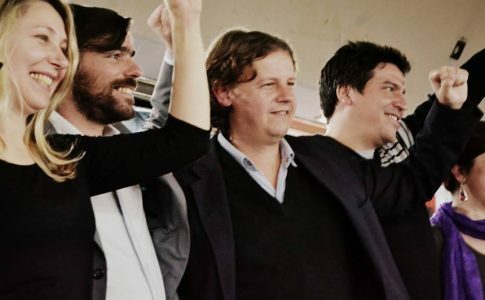 The right-wing government of Mauricio Macri has decided to forcefully evict the factory and the workers are now waiting to resist the repression. The right wing government seeks to stop workers radicalization right away. A victory for PepsiCo workers is a message for the whole working class that they can fight and win. However, the workers have gained quite a bit of solidarity in the past weeks, and all eyes are on PepsiCo as the police circle the factory. 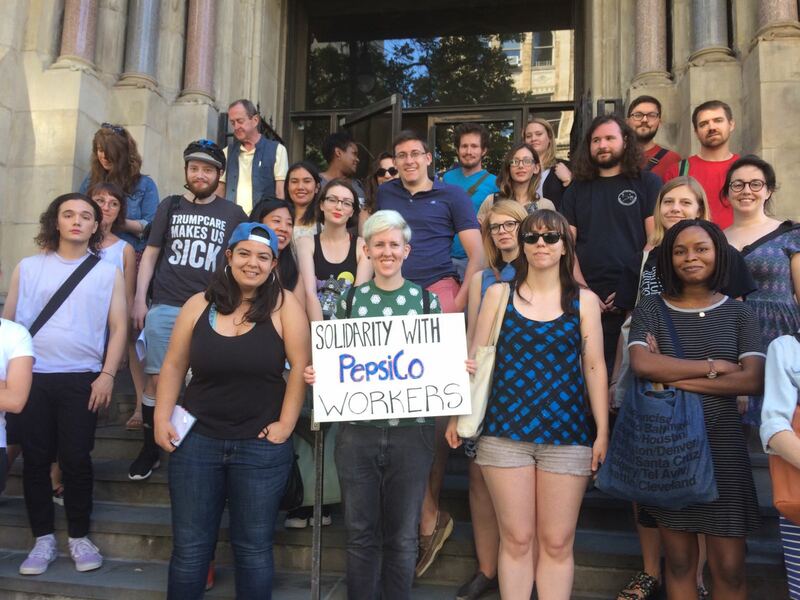 SIgn the petition to continue to gather support for PepsiCo workers. 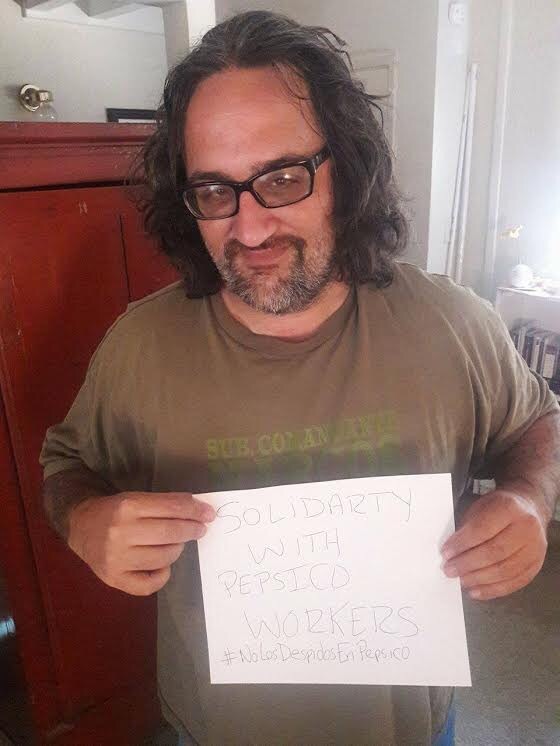 We share the important international solidarity with PepsiCo workers.